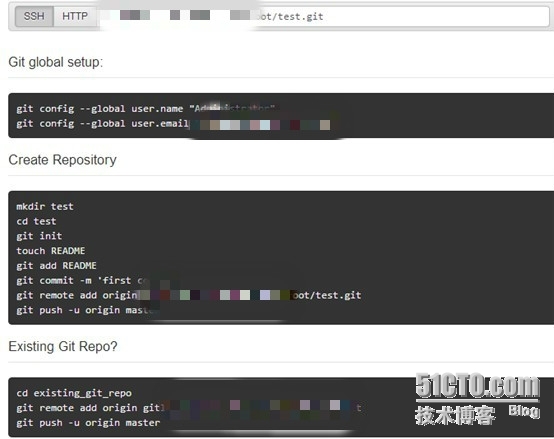 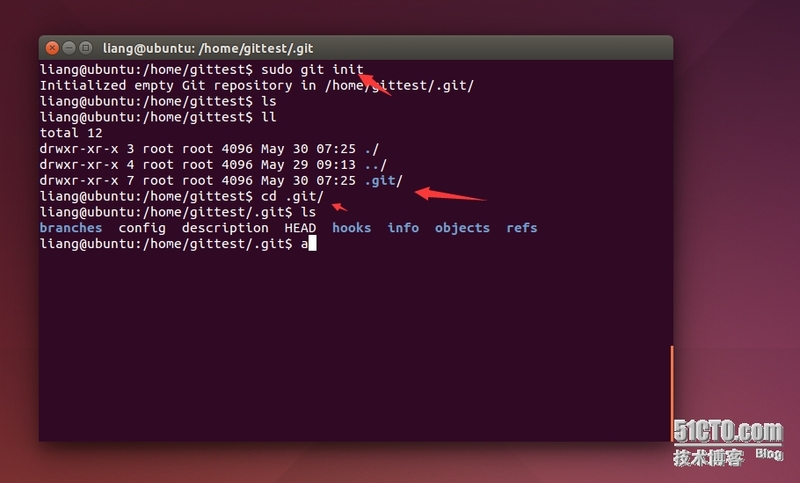 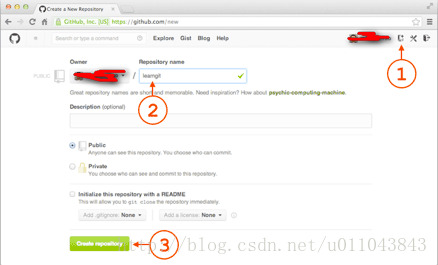 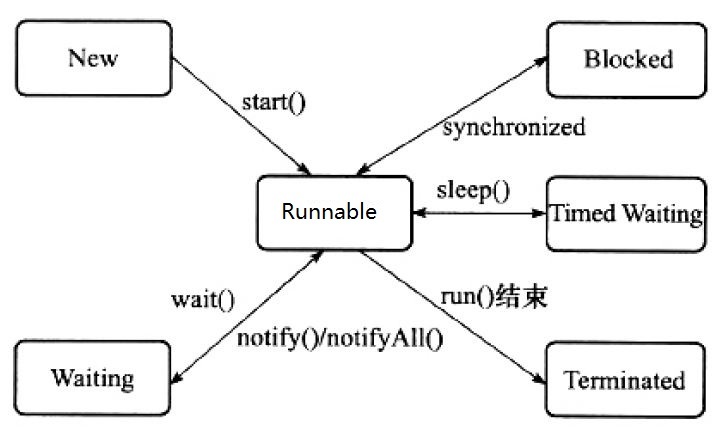 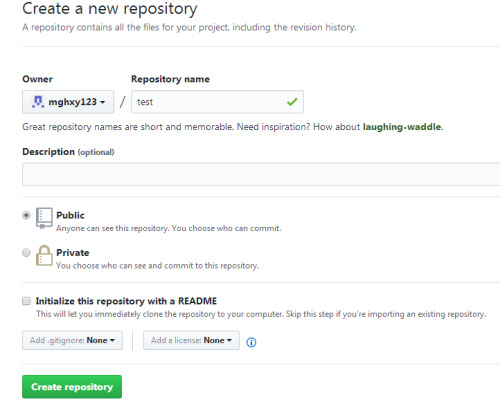 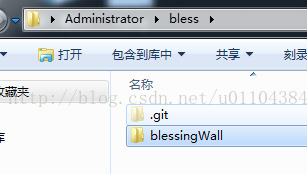 如果git remote add origin时提示说在远程仓库有origin了,可以选择git remote rm origin或者换个其他任意的字符串. 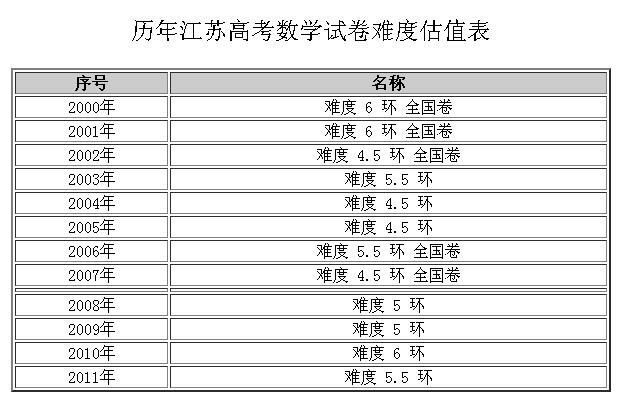 git创建远程仓库 首先到github页面上创建仓库(repository)如下: 然后初始化文件夹为仓库,并提交到远程仓库,如下: [[email protected] aa]# git init Initialized empty Git repository in /data/mydata/aa/.git/ [[email protected] aa]# git add . 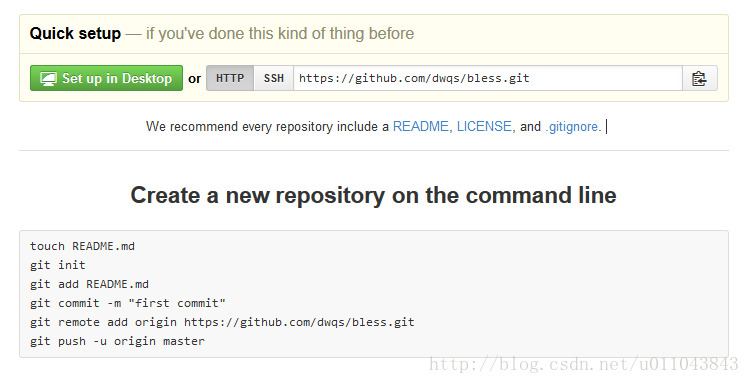 [[email protected] aa]# git commit -m "first commit"